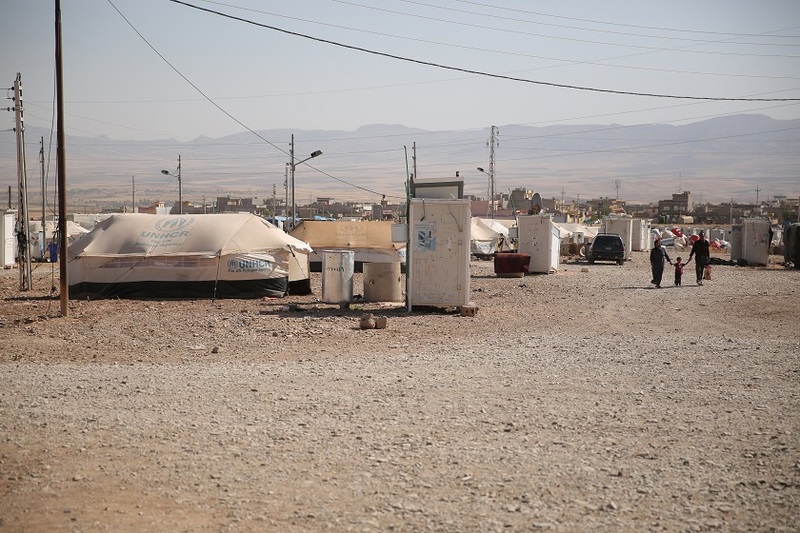 The situation for refugees in Erbil, Kurdistan, Iraq is dire. I was pleased to be able to convey this perspective in a recent article for Lapido Media, highlighting the relief efforts of a local Cairo church, Kasr el-Dobara. Coordinated with US airstrikes, Kurdish Peshmerga forces have begun to reclaim villages overrun by ISIS. But many displaced Christians in Erbil, the Kurdish Iraqi city which has received hundreds of thousands of refugees, have little confidence to return. Khalil is the director of relief ministries at Kasr el-Dobara Church in Cairo, Egypt, and is part of the church’s efforts to deliver much needed aid. He has spoken to dozens of individuals with similar stories; names and faces begin to blend together. The man in the photo above is the blind man, supplied by Rev. Khalil. It is amazing to have met so many with such terrible stories. 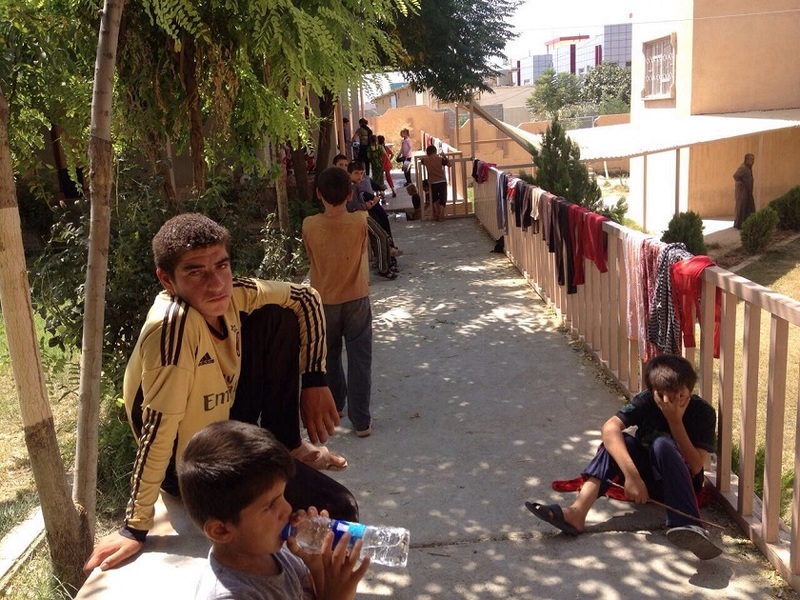 As a consequence Erbil’s churches are packed, and the Mar Eliya refugee camp is located on the grounds of the church-run school. 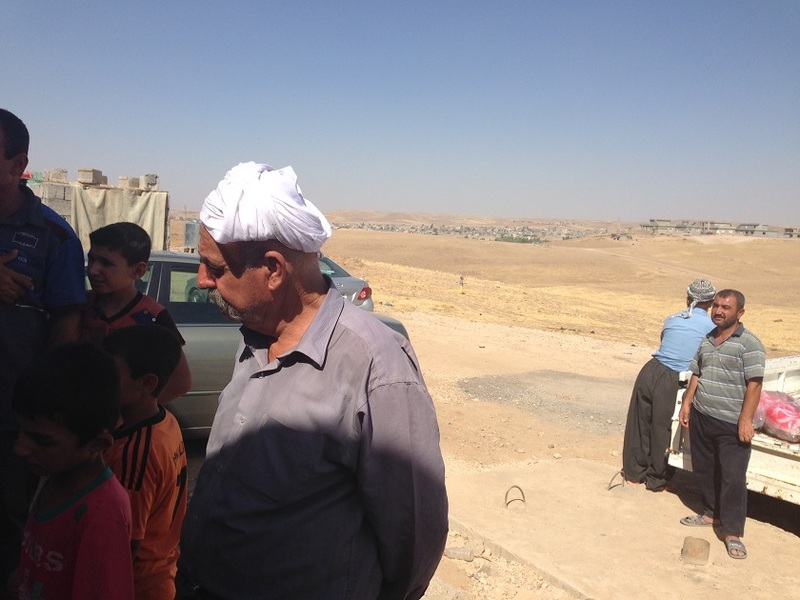 Nearby Mar Yousef camp is in a church itself, and hosts mostly Muslims and Yazidis. This photo is from SAT-7, whose Ehab el-Kharrat was quoted extensively in the original article. Many campgrounds are located in the desert, and according to Eva Boutros, who was also interviewed, many have inadequate water supplies. Dozens of children gathered around a sole faucet, she witnessed, trying to get clean. One of the Christian refugees is named Soha. Age 22, she graduated from university and was looking forward to her new job in Mosul before the ISIS onslaught. Now she must care for her brother’s three children who have been separated from their mother. Boutros is the director of volunteer ministry for Kasr el-Dobara, but accompanied a joint Orthodox-Catholic-Protestant team organized by the Chaldean Church in Heliopolis, Cairo. This team brought tents, medical supplies, blankets, and children’s underwear, all donated by Egyptian companies. Perhaps her woman’s touch gives her greater memory for personal detail, as opposed to Khalil. But she praises a different source. ‘I remember each person, their face and their story,’ she said. ‘The Lord sent us to tell them, we are suffering with you. ‘They need you to hug them, stay with them, and listen, listen, listen.’ Kasr el-Dobara’s team included a professional psychiatrist, who spent hours counseling women and children in their trauma. Childcare specialists did their best to entertain the kids each evening. Finally, here is an amateur video made by the Kasr el-Dobara team, showing their team in action and giving thanks to those who have donated.